UFO SIGHTINGS DAILY: Alien-like creature found in mans yard in Arizona, April 2016, Video, UFO Sighting News. 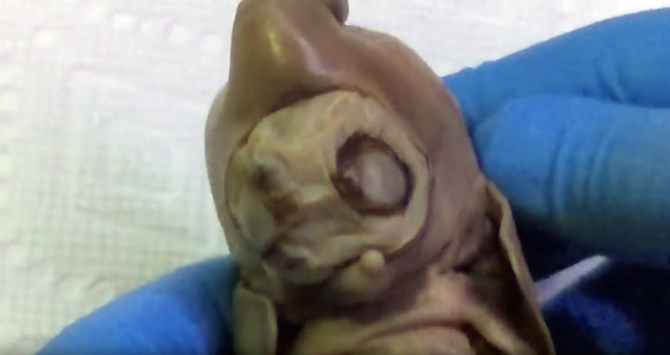 Alien-like creature found in mans yard in Arizona, April 2016, Video, UFO Sighting News. This is a strange creature. If it had been found in Chernobyl I would defiantly know its cause, but Arizona? If this mutation was caused by radiation, then the place in Arizona that found this is in a lot of danger. It looks like a human-alien hybrid and has flippers to boot. Whatever the creature is, one thing is clear, its an infant. True evidence of genetic manipulation gone wrong. 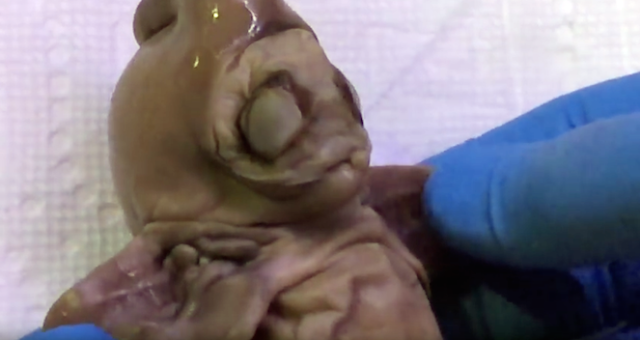 This has many similarities to the alien found back in India in 2015. Click here to view that India post, Human-like creature found during excavation in Jodhpur, India July 2015, UFO Sighting News.